76:30 (Y. Ali) But ye will not, except as Allah wills; for Allah is full of Knowledge and Wisdom. 48:27 Truly did Allah fulfil the vision for His Messenger. ye shall enter the Sacred Mosque, if Allah wills, with minds secure, heads shaved, hair cut short, and without fear. For He knew what ye knew not, and He granted, besides this, a speedy victory. Insha Allah! (Allah Willing) One of the teachings of Islam is that when we undertake a task, we should start by saying, ‘Insha Allah,’— Allah willing. 1. 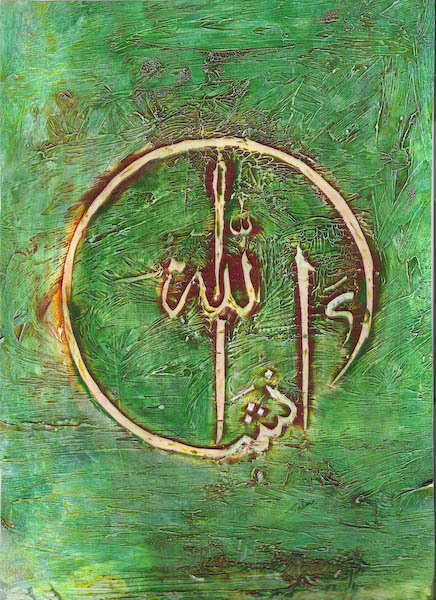 Allah willing (Insha Allah) is a phrase of great significance. Islam teaches us that whenever one embarks upon any venture, one should say, ‘if Allah wills’ before one begins. This is to acknowledge the reality that Allah alone is the Doer in this world. 2. A person can achieve his ends successfully only when Allah’s blessings are with him. Allah alone has the power to make things happen, as everything functions according to His will. Man can only wish for certain happenings, but occurrence rests with Allah alone. 3. When one thinks seriously of Allah’s all-powerfulness and his own total helplessness, such feelings find expression in the words, ‘Insha Allah.’ In this way he acknowledges that he can only make a beginning. 4. So far as the completion of the task is concerned, it lies entirely in Allah’s hands. 5. The phrase Insha Allah in its essence is a form of prayer. Beginning one’s work with Insha Allah is like seeking Allah’s company and when Allah, the Lord of the universe, accompanies us on our journey, who can stop us from reaching our destination.